So it has taken a while to get here but finally we are up to Beer 200 of "1001 Beers to Try Before You Die" (link to amazon - other online retailers and physical bookshops are available!). Just over a year and I'm a fifth of the way through - it is getting harder and harder to get the beers locally now but a wee internet purchase or two might help from here on in - can anyone recommend a site they use to deliver to NI that's reliable, has a good range, and doesn't want your first born as a delivery charge to these shores? Description: Pink, clear, tiny head; not unlike pink champagne. Aroma of berries, lots of berries - raspberry mainly - and some funky yeastiness. Taste is tart and zesty - some lemon, but lots of sour raspberry. My wife commented that it reminded her of creamola foam - she had a point, a bit like eating creamola foam from the spoon. Light bodied, decent fizz, with a slightly bitter finish. Thoughts: Gorgeous stuff. 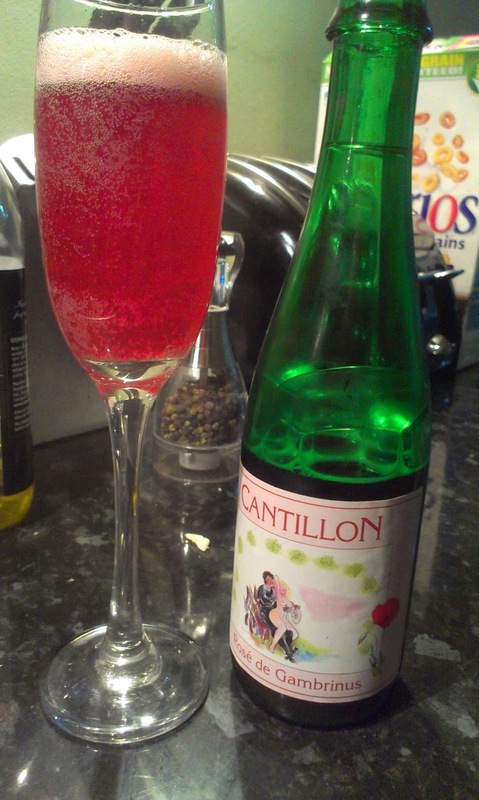 Not the sweetness of some framboise; more sourness and tartness here. But not too sour. Overall nicely balanced and very refreshing - will be having again! Description: Poured jet black with a light brown head. Lots of roasted malt in the smell, light coffee, and some dark fruit (think figs and plums). Taste is good bitter dark chocolate, again some coffee in there too. A little boozy, but not as much as you'd expect given the ABV. Full bodied with a slightly bitter finish. Thoughts: And there I thought I was going back to IPAs again... 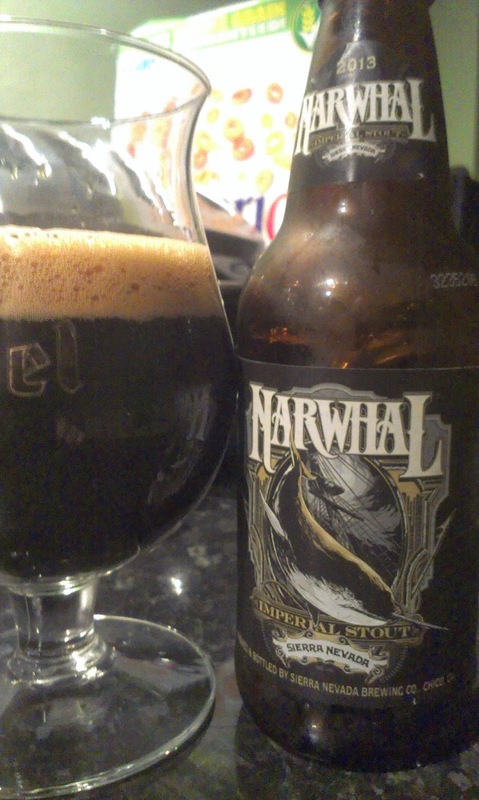 This is a beautifully balanced imperial stout, scarily drinkable for the style. That ABV could do some damage without care. Another great beer from Sierra Nevada. Description: Ruby red, clear, and an off-white head that dissipated very quickly. Caramel on the nose. Taste follows that, caramel, biscuity malt. Quite light for the style, I got an ashy finish as well. Thoughts: I was impressed with Pokertree's first effort - for me, this wasn't as good. I found it a little too thin for my taste, would have preferred something more syrupy; the ash finish wasn't really my bag either. Drinkable but not very exciting. I should point out that this followed the Narwhal so most beers may have struggled after that - may need to give it another tasting for fairness sake! A gentle reminder that Beer Club Belfast meets this Thursday (27th March) in the Hudson. Theme is beers with a twist with lots of brews worth trying announced already (if you haven't had it the Sorachi Ace is worth the £10 admission price alone!). If your about come down for a night of beer geekiness (and some good craic too).